As the war between the states raged through the South, the women were watching from upstairs windows and through closed blinds. By night they saw enemy campfires burning in their orchards and pastures. By day they saw Federal troops stealing their livestock and raiding their cellars and gardens. Thousands of battles were fought during the War between the States which never made it into the history books - the battles the women and children of the south fought against worry, loneliness and fear. 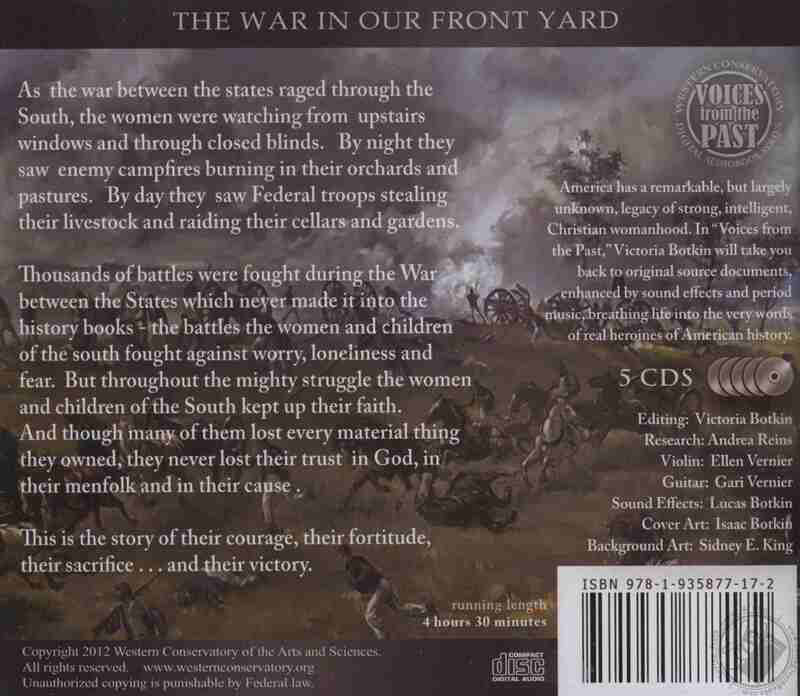 But throughout the mighty struggle the women and children of the South kept up their faith. And though many of them lost every material thing they owned, they never lost their trust in God, in their menfolk and in their cause. This is the story of their courage, their fortitude, their sacrifice...and their victory. 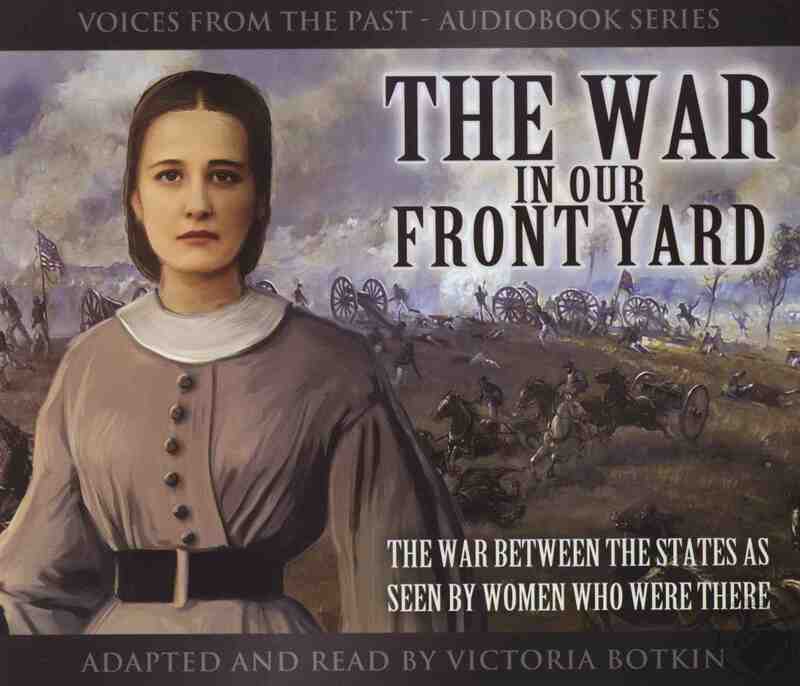 This 5-CD audiobook features excerpts from the journals and letters of these women, read by Victoria Botkin and enhanced with period music and sound effects. This is the sixth audiobook in the Voices from the Past series.